so i'm hoping that sharing a delicious holiday recipe will make up for my serious lack of blogging in the month of december. i made a new cookie recipe for a friend's cookie swap recently, and wanted to share the love! the recipe made a TON of cookies  and was really easy - might end up being my go-to for events where i need to bring a lot to the table [literally]. p.s. i think this recipe would also be great with chopped pecans added! These sound delicious! I love any cookies with oatmeal or chocolate chips! 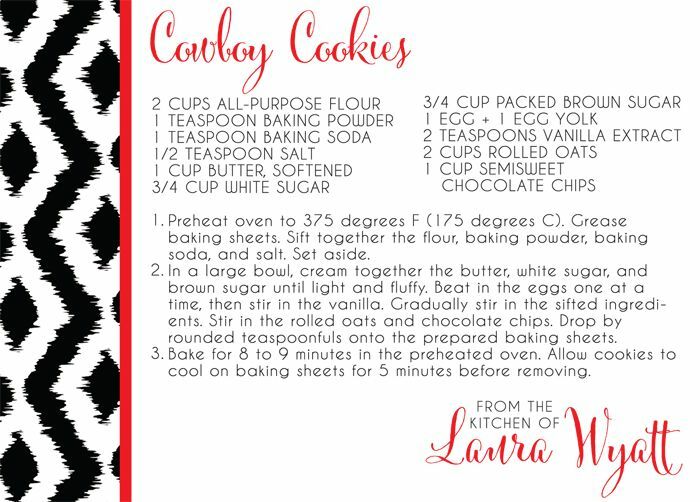 We already ate all of our Cowboy Cookies and I'm kicking myself for not grabbing more!!!! These sound delicious! I love pecans so I might have to add those in. Thanks for sharing the recipe! These are my kind of cookie! I'll be making, and devouring, these bad boys.